Carolinas HealthCare System (CHS) employs more than 60,000 people in more than 900 care locations in North Carolina, South Carolina and Georgia. CHS has nearly 8,000 licensed beds and has almost 12 million patient interactions annually. CHS started Mental Health First Aid training in 2014 and has trained 10,000 Mental Health First Aiders as of November 2017 in the communities they serve. CHS recently reached their goal of certifying 10,000 First Aiders in just three years, thanks in part to their strategy of training more than 200 Instructors (80 percent of whom are CHS employees) and equipping and motivating Instructors to train teammates and community members. In addition to the impact of the sheer numbers trained, First Aiders’ individual anecdotes of how they have used the training are very compelling. For example, Hennighausen noted, “We hear from First Aiders frequently who have helped friends, colleagues, children and family members get connected to help. It’s very powerful.” According to Hennighausen, “CHS celebrates how First Aiders are willing to step in and ask someone, ‘Are you OK? How can I help?’” and has utilized the sharing of these stories as both additional opportunities to connect with First Aiders and a call to action for First Aiders to put the skills they learned during training into practice. CHS has also been able to expand partnerships with other key health-focused organizations by providing Mental Health First Aid training in local communities. 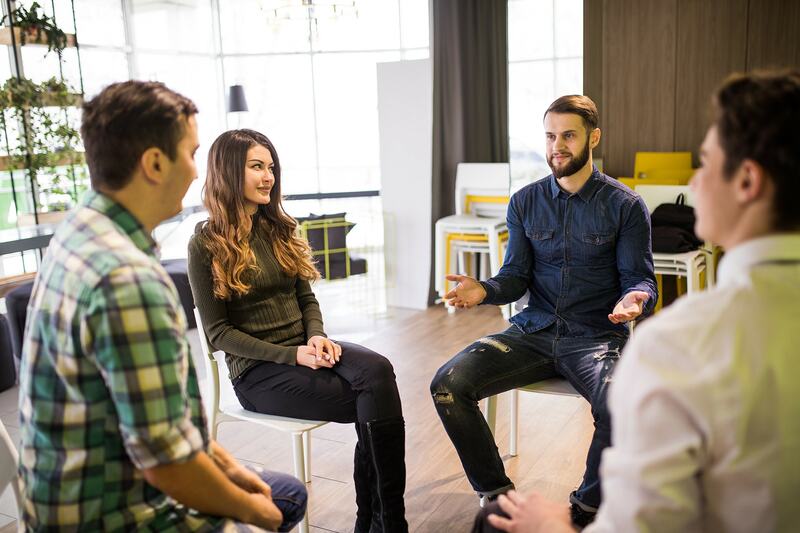 These organizations, Mental Health America of the Central Carolinas, Novant Health and Cardinal Innovations Healthcare, have come together to form the Mental Health First Aid Mecklenburg Collaborative (MMC) and Mental Health First Aid Cabarrus County (MCC). The members of MMC and MCC realize that working together to train more people in Mental Health First Aid increases awareness around mental health issues and mental health resources in their communities. Henninghausen reinforced the idea that Mental Health First Aid is one element in a more comprehensive approach that the collaborative is taking, saying, “Mental Health First Aid is just one critical part of the very complex public health crisis we are faced with when it comes to mental illness and substance use disorders. Of three main concerns – access, affordability and stigma – Mental Health First Aid gets to the heart of stigma.” While these connections started off organically and informally, they have led to more strategic and formalized partnerships focused on population health in Mecklenburg County. This includes a strong focus on improving the social determinants of health and training key audiences such as the Mecklenburg County Health Department and the Charlotte Fire Department. After CHS met its goal of training 10,000 First Aiders, the System decided to set its sights higher, looking to train more First Aiders. CHS’s community relations teams across its footprint are building Mental Health First Aid into their plans for the future. They have begun to create strategies for expansion into their markets and are working to leverage key partners, such as first responders, city and county governments, colleges, universities and the YMCA, to develop initiatives in specific communities.